Based in Mumbai (Maharashtra), Instant Office Space Realty is counted among one of the reputed real estate companies highly appreciated by the clients for offering prompt services to assist the clients in Renting/Leasing Properties. While offering Renting/Leasing Property Services we make sure to provide the clients with profitable deals and easy transaction process. 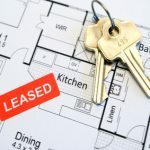 We also make sure that the clients get reliable lease holders while Leasing Property. As an experienced service provider, we are offering Renting/Leasing Property Services for different type of Industrial Property and Commercial Property such as Factory / Industries, Commercial Land, Commercial Shop / Space, Office Space, Shopping Complex / Mall, Industrial Land / Plot, Warehouse / Godown, etc.